I really like Moments, the new collated, curated Tweets feature. 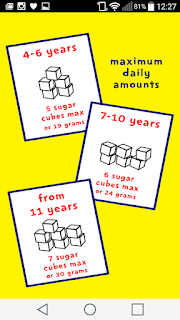 I try to read them every day, and it's a great way of seeing some of the best of recent news and activity. 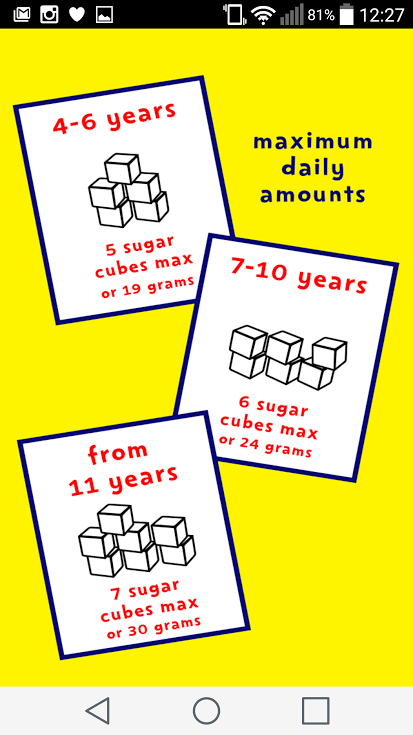 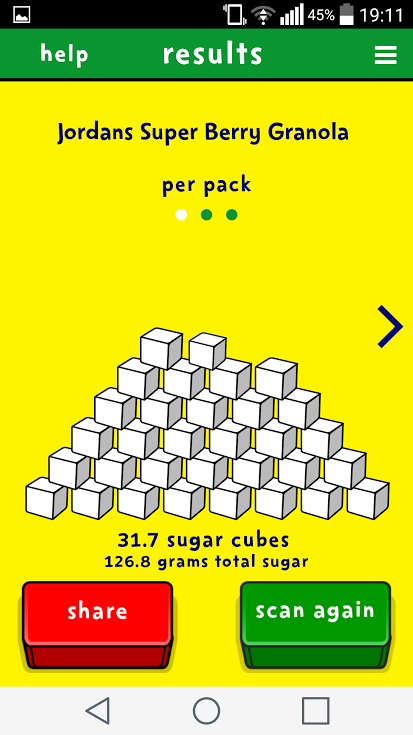 Sugar Smart is a new app from the NHS's Change4Life campaign. 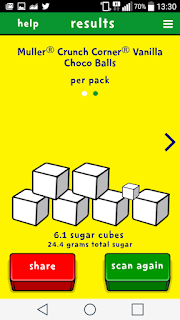 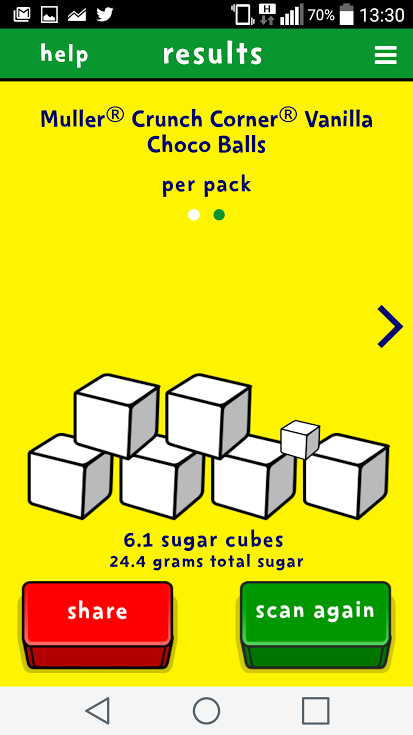 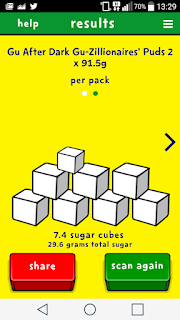 It's available on iOS and Android, and when you scan the bar codes of popular UK food items, it access the official nutrition information and tells you the suger content, expressed as sugar cubes. I knew Gu would lave a lot of sugar in it, but I didn't know Muller yogurts had so much. 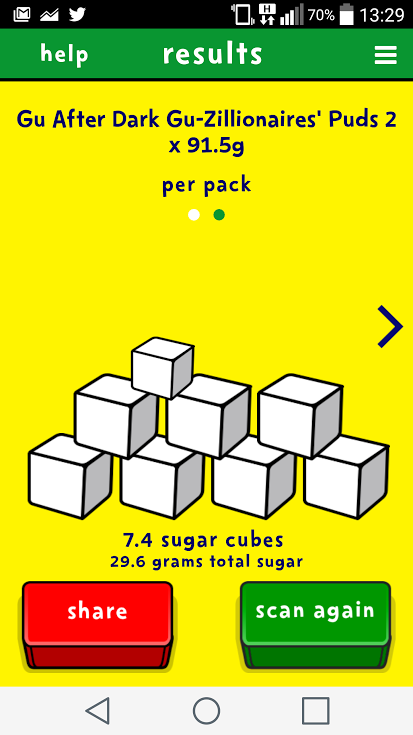 I was also surprised by the content of some cereals that I'd previously seen as healthy. 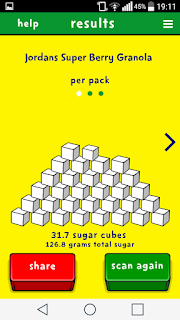 Yes, this data is all available on the label, but this gives you a much easier way of visualising what the table of nutritional numbers actually means.